Sandy has been with ACC Business for over 18 years, currently serving as vice president of sales. Sandy has a distinguished career with AT&T, spanning over 35 years in the industry. She has held positions as a communications technician, account executive and sales manager. She has also worked as human asset and learning manager and a marketing manager. Sandy is responsible for development and implementation of sales strategies, revenue retention and growth plans. She collaborates with hundreds of targeted independent sales agents. 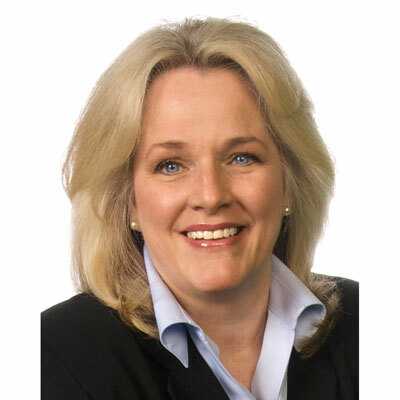 Sandy Is responsible for managing the overall team performance of 30 sales professionals within ACC Business, including special pricing, client contracting, technical sales staff, solution provider contracting, commissions and sales support. Understanding that relationships are key in indirect sales successes, I have enabled expanded reach and communication with our solution providers. We've added some sales professionals to our team that have made great impressions with and difference to our solution providers. As well, in 2017, I led our team to increase our capacities in what we do well. This includes building relationships in solution provider territory, enhancing pre-sale support - including pricing and contracting - and offering expanded tech design and education. We were able to gain momentum and make a difference in many lives and businesses. There is not one magic potion, but I believe we achieve success by putting our heart and soul into working with our solution providers, day after day. I am very excited about lofty revenue goals in 2018. To continue to accomplish double-digit growth, as have had in recent years, we expanded our channel manager sales force by 50%. We'll also continue to bring in new solutions for our solution providers to market. I was recently awarded the AT&T Sales, Indirect Channel Golden Glove Award. This award recognizes outstanding business leadership and sales revenue accomplishment by the top 1% of sales leaders within AT&T. I have admired my girl scout leader, Mrs. Turner, for many years. An elderly woman when I was a young girl, she demonstrated patience and encouragement as she taught us the importance of survival skills, such as building a campfire and utilizing proper manners. She also taught us to have a sales strategy to sell record number of cookies. My cold-calling days started early! Relax, and enjoy the journey along the way! And perhaps a lesson on residual commissions and compound interest! Work-life balance is often a challenge for me. As I age, I see more clearly the full "circle of life" and understand there are very few "do overs". I am making more deliberate choices about how I invest my time and energy. This is progress. The Life-Changing Magic of Tidying Up, by Marie Kondo. Life-changing, one tidy step at a time, in many unexpected ways.